Rockabilly rebelin’ against the elements! What’s a cat to do when he looks out the window on a cold bleak Sunday morning watching grey skies roll in threatening to ruin his day before it even begins? Stay under the covers? Turn up the heater? No way man! Get outta bed, get ya cat clothes on, grab ya main squeeze and find the best joint that’s jumpin in town and anyone who’s had anything to do with Kingpin Kuztums know those guys know how to put on a swinging, rockin event that’ll get ya hot all the way through! February heat and the Kingpin of Kuztums! A rock n roll Christmas! With Christmas just around the corner, tis the season to hold a Christmas party and I can’t think of anyone who would hold a better nostalgic tinsel laden celebration than Rob and Lam of Kingpin Kuztums! Anyone who has been lucky enough to have taken part in one of their rockabilly events in the past know these guys don’t do things by halves and this was no exception! No two parties are ever the same as Rob and his team likes to mix it up a bit when it comes to choosing the venues. We’ve seen everything from a mix of retail/ street party close to Melbourne’s CBD to an industrial warehouse filled with cool customs and rockin bands! 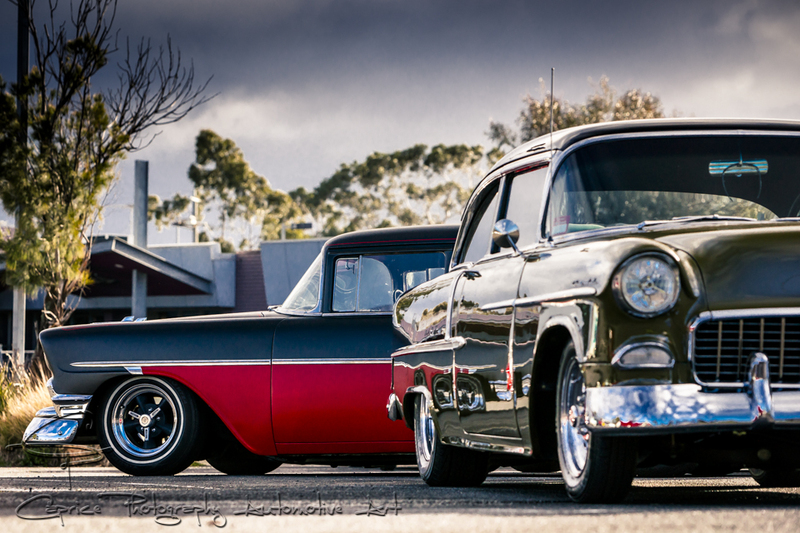 This was the question put to us leading up to the event and, by the look of the turnout, I guess many people said “YES!” KingPin Kuztums in conjunction with Melbourne Old School Cruisers were the combined force behind this indoor/ outdoor rockabilly come car show inspired event! Although the start time was 11am, perfect for a Sunday morning, many fired up early with their cool custom rides and classic muscle cars and headed out to Dandenong South to grab a park and a coffee and take in the sights and sounds old school V8s and classic sixes rocking up for the jaunt! Any Friday is a good Friday but this one appeals! 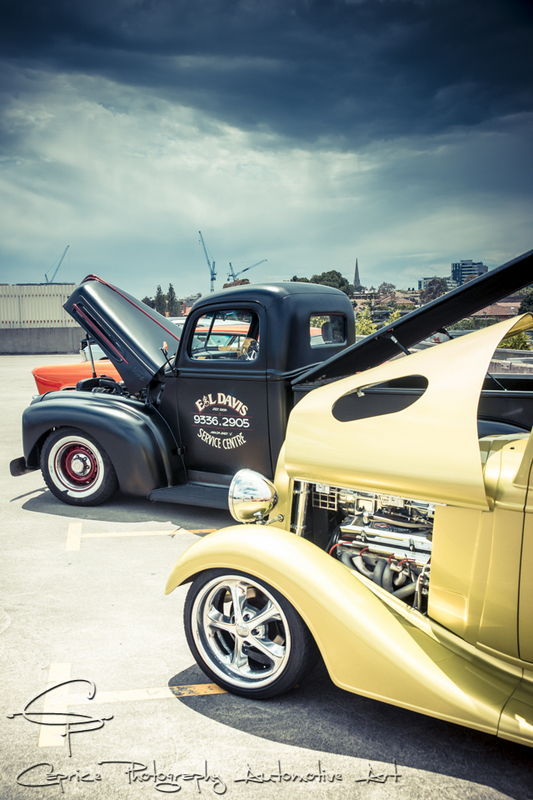 Checked out a cool gathering of trucks, cars and bikes at the De La Ville in Geelong for the Good Friday Appeal! 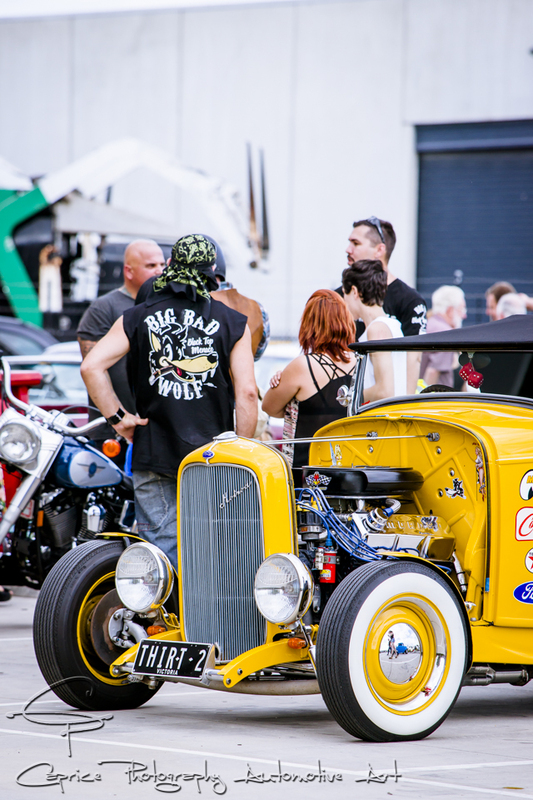 The back lane was filled plenty of cool rides, pimped prime movers and custom hogs! Cruisers came and went throughout the afternoon, stopping for a drink, checking out the action while taking in the band! Great day for it! Rockabilly riot in down town Ballarat! Rockin it in the Fifties!